Braun men's wristwatch with electro luminescent display. Braun Watch Black Leather BN0046BKBKG. 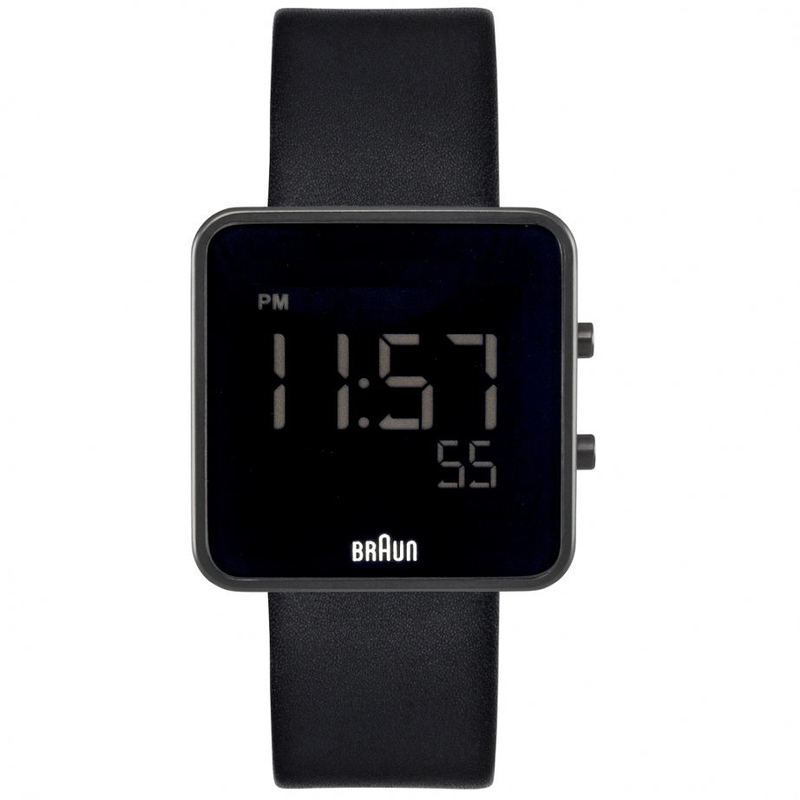 This Braun watch is part of the Braun watch collection. This classic Braun men's wristwatch was designed by Dietrich Lubs and Dieter Rams during the 1970s. It has an easy to read minimalist dial layout, inherent to the Dieter Rams motto "less and more". The Braun BN0046BKBKG digital watch features a durable black leather strap, which is very comfortable and light on the wrist. Other features include a minimalist electro luminescent digital display, 12/24 hour time display, date feature, PM indicator, matte black plated stainless steel case with screw on case back, 5 ATM water resistance and scratch resistant mineral glass. NOVA68 is the official distributor of Braun Watches so each watch comes with a 2 year manufacturer's warranty.